I couldn't resist playing with my new Winstonia Store 2nd generation stamp plates tonight. 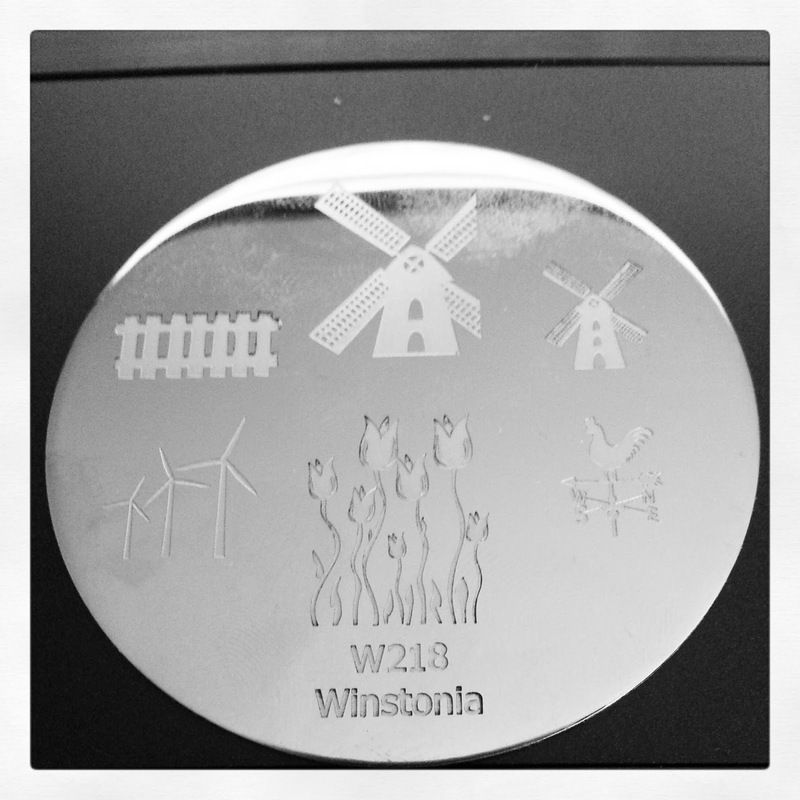 When I saw plate W218, the windmills immediately reminded me of my Mom in Law. She loves collecting anything with windmills. 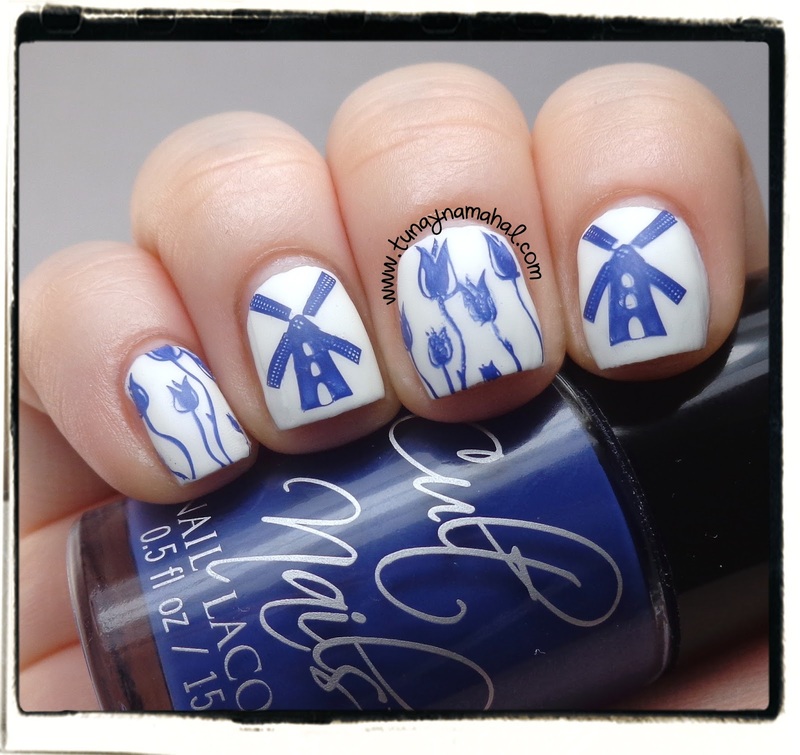 So I decided to do Dutch windmill china nails. I started with a base of Sally Hansen Insta-Dri in Whirlwind White. Then I stamped with Cult Nails in Wack Slacks, then 1 coat of Seche Vite topcoat before I used the NYC Matte About You topcoat (press sample). I smudged the one flower stamp a little, but I still love how they turned out. P.S. I got an OttLite! There's a been a lot of discussion about them in the Hobby Polish Bloggers group I am a member of on Facebook. 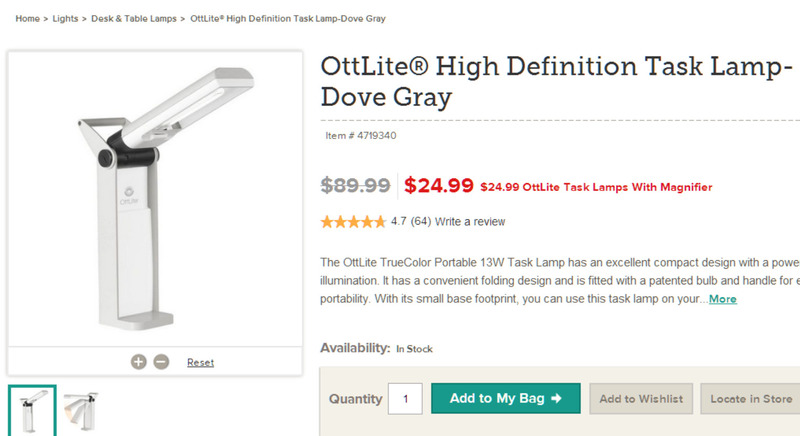 The Mercurial Magpie posted a coupon code for this OttLite at Jo-Ann's so I had to order one. Can't beat that sale price either?! This is my setup for taking photos. I have my lightbox on my dining room table when I use it. I'm still using one of the clamp lamps as well as the OttLite. The OttLite definitely gives off a more natural light than the CFL bulbs I use. The nail photo above was taken using the OttLite tonight. 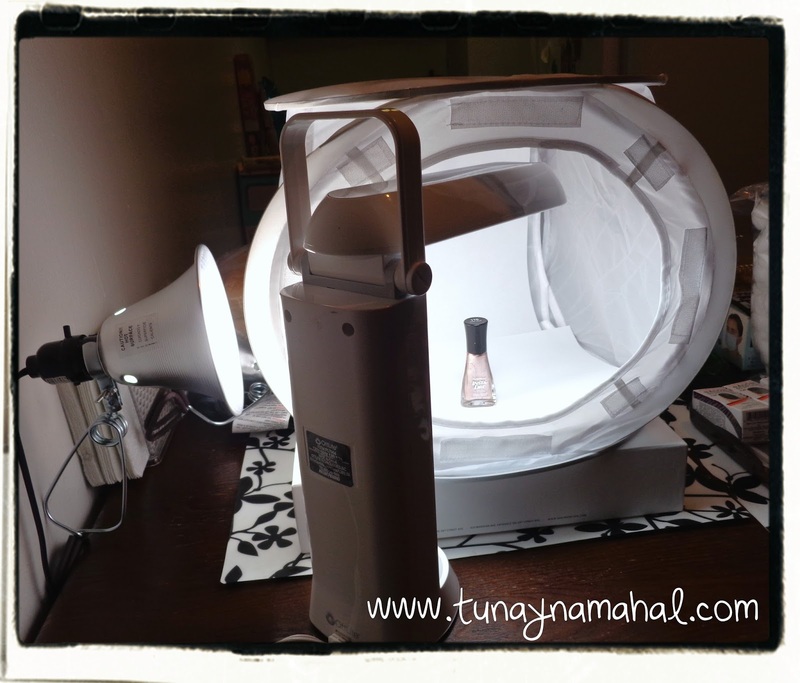 Depending on what kind of lighting I need, I sometimes use one or two clamp lights on the sides of my light tent. • Two Clamp Lamps from Lowes. (I have switched my clamp lights bulbs over to these Ottlite bulbs). 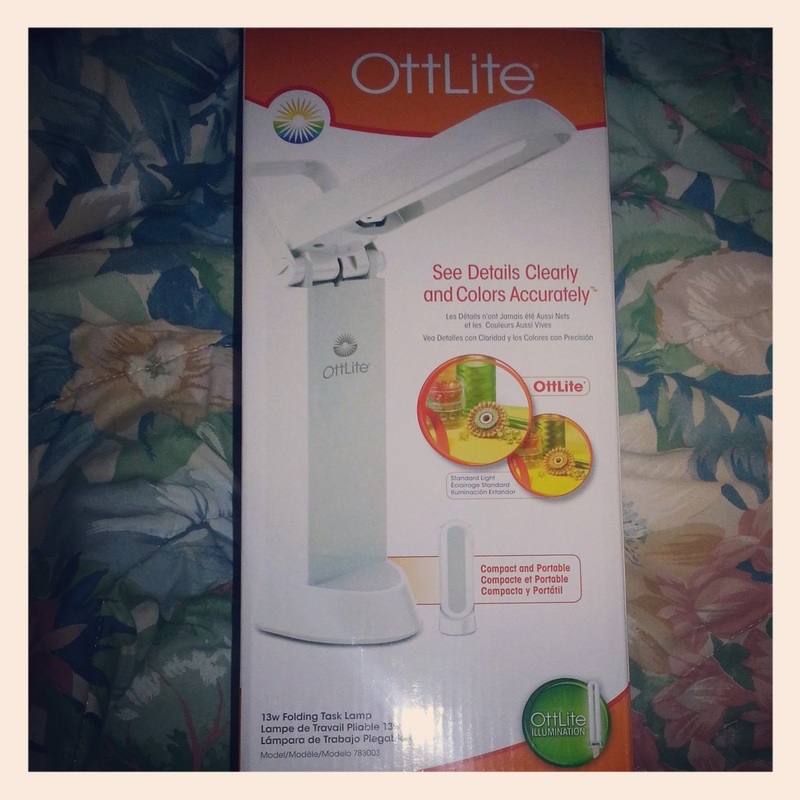 • One Ottlite High Definition Lamp. • 12x12 Softbox from Cowboy Studio. • Corel Paintshop Pro XI.